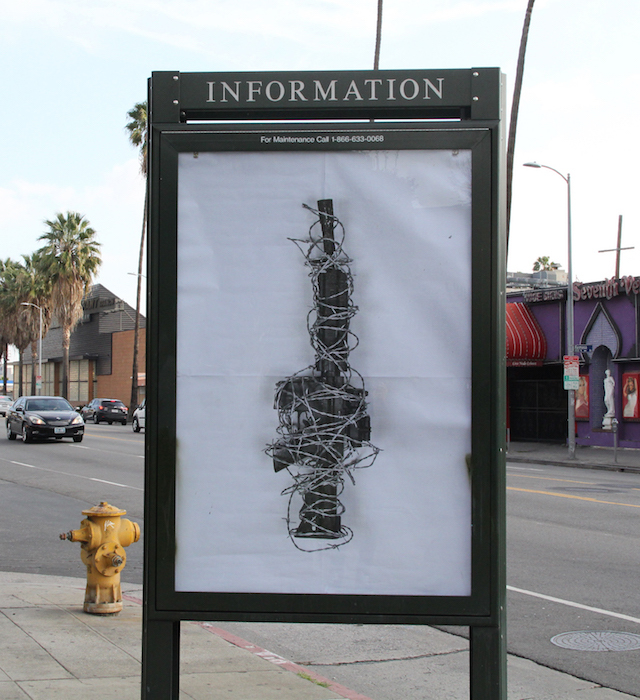 Icy and Sot in Los Angeles. Photo courtesy of Icy and Sot. Pow! Another mural. Wow! So beautiful. But those decorative canvases-on-walls by globe-trotting muralists have been clogging up all my feeds lately. They have their place, but I’m feeling a bit overwhelmed. For my small attempt to counter the barrage, here are a few pieces that I’ve come across lately that don’t fit that fly-in-fly-out festival paradigm. 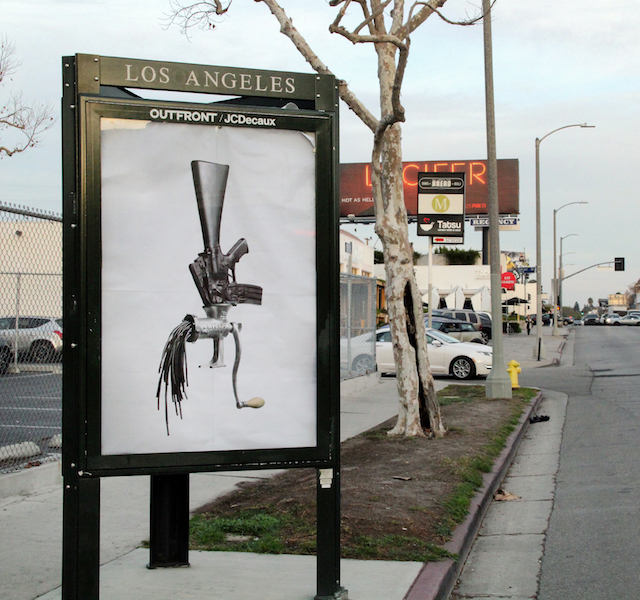 First off, there’s Icy and Sot, who installed a series of ad busts during a recent visit to Los Angeles. Sometimes it feels like ad busts, explicitly political or not, are the only way that street art can still retain a spirit of resistance. 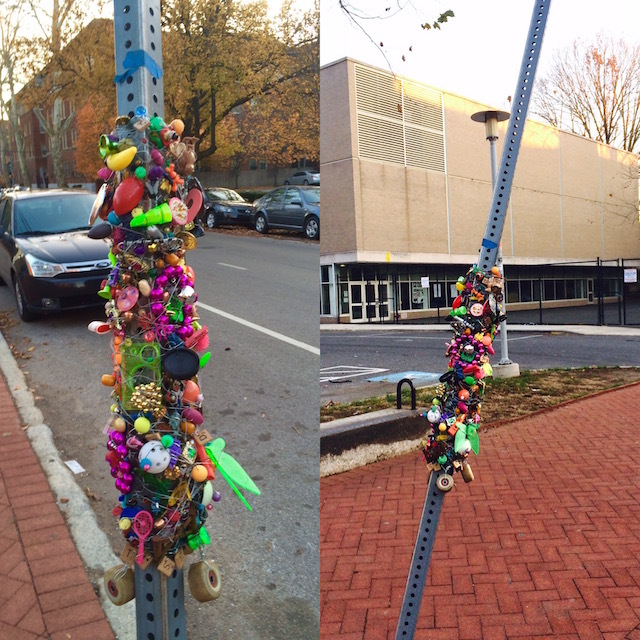 Here’s something I’m going to miss about Philly: Coming across Amy Orr‘s “graffiti totems,” collections of wire, beads, and miscellany that Orr attaches to metal signposts around town. 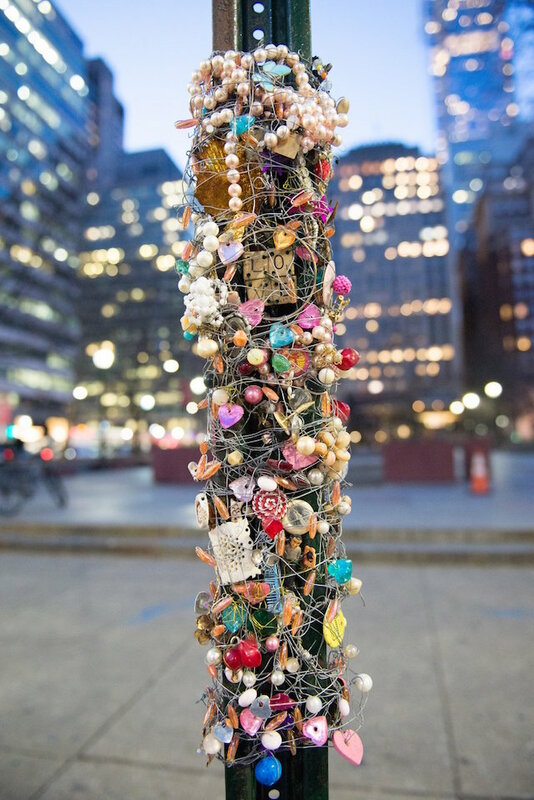 Graffiti Totem by Amy Orr. Photo by Brandi Fitzgerald. Graffiti Totem by Amy Orr. Photo by Amy Orr. Pairing nicely with Orr, the boys at Brooklyn Street Art recently came across a series of miniature street pieces by Patrick Picou Harrington. 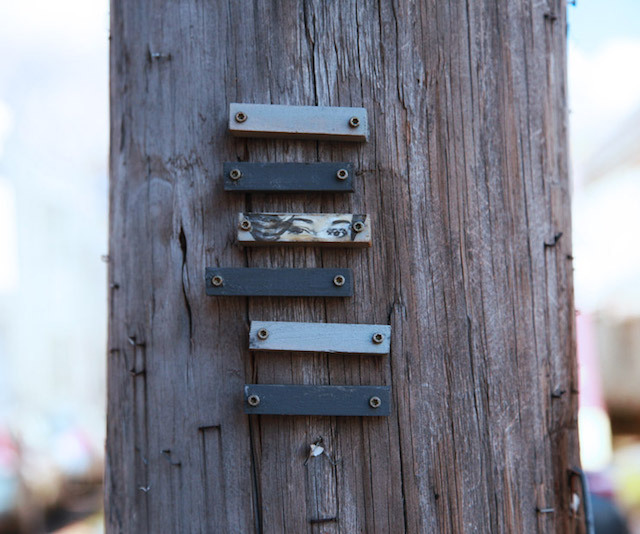 For more photos and the full story on these beautiful little installations on electrical poles, check their blog. Patrick Picou Harrington in Albany, NY. Photo by Jaime Rojo. 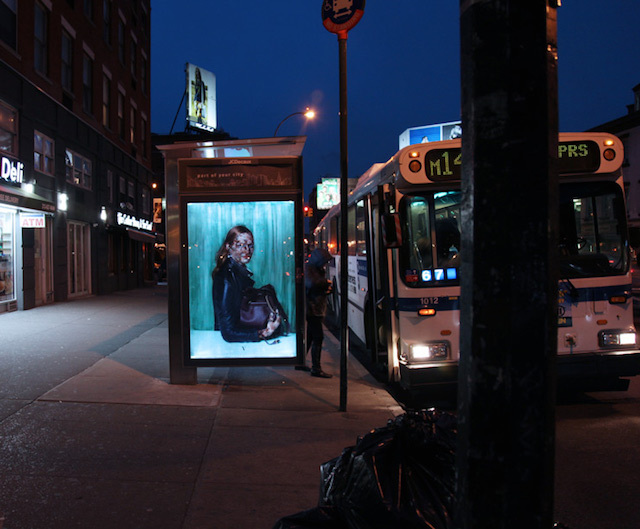 Also at BSA, Vermibus has been in New York City to install a series of ad-takeovers for Fashion Week. I caught one of these on the street the other day, and they are definitely worth searching out in meatspace. Happy hunting. Vermibus in NYC. Photo by Jaime Rojo. 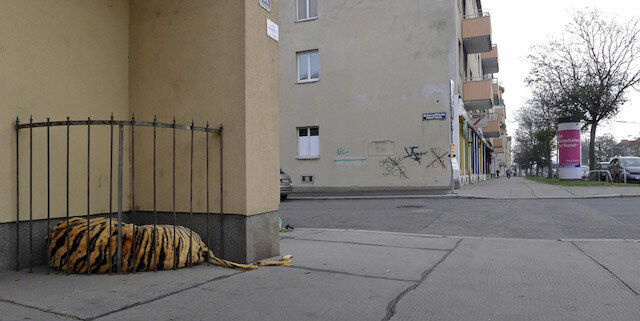 Finally, this Toni Spyra piece in Vienna is some of my favorite site-specific pieces of street art in a while. Toni Spyra in Vienna. Photo found on Ekosystem. So there you have it. Not another mural.